Refreshing the interior and exterior of a home should be considered part of routine maintenance. Paint should be freshened up every few years to keep it looking clean and modern. 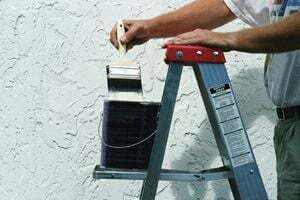 Of course, painting a home is a big project to take on, which is why many homeowners hire painting contractors. They get the job done quickly and have the expertise to make sure the work is neat. They also ensure the homeowner chooses the right type of paint for the project. The costs of painting services in Nashville vary depending on the location of the home, the type of home, and the home’s size. The cost of painting the interior of a home ranges from $470 on the low end to $1,579 on the high end in Nashville. Prices vary depending on the size of the home, the number of rooms being painted, the texture of the walls, the trims and details, and several other factors. The table below breaks down the average cost of painting services in Nashville depending on the project and its size. These prices do not include trim, shutters, doors, and other details. Having these painted in addition to the walls can add an average of $204 or more to the final cost of the project. Nashville is located in Davidson County, TN, which is one of several counties in the state that does require contractors to hold a license for home improvement projects that cost a certain amount. If the project cost is between $3,000 and $24,999, the contractor needs to have a Home Improvement license. With this, the contractor must have general liability insurance valued at a minimum of $100,000. The contractor must also be bonded. Nashville is the “Country Music Capital of the World,” so it is no surprise that there is a blend of newer homes mixed in with plenty of historic architecture. The people in the city are just as diverse, meaning that the homes have a lot of personality to reflect the residents who have lived in them over the years. Areas on the outskirts of the city, such as Germantown and West End, have historic houses that date back to the late 19th and early 20th centuries. Painting contractors working with these homes should have an eye for detail to make the unique qualities of the homes stand out. Some of the largest homes in Nashville are located in the Belle Meade area of the city along with the Green Hills suburb to the southwest of the city. Because of the amount of square footage to cover, painting contractors should have large teams in order to finish the project in a timely manner. Nashville is unique in that condos are scattered around throughout the neighborhoods, including Downtown and Midtown at the heart of the city. Even the historic neighborhoods have several newly constructed condos. Because condos have a smaller space, painting teams are typically smaller here, regardless of location. Additionally, condo owners do not have to worry about exterior painting services and can focus on beautifying their interiors. Painting is a relatively inexpensive home improvement project when compared to the costs of complete remodels. It is also a project that offers a high rate of return. When putting a house on the market, fresh paint in modern colors can really grab the eye of a potential buyer. New paint does not necessarily command a higher sale price, but it inspires buyer confidence that the home has been taken care of properly and thus makes the home more likely to sell. Additionally, by changing up the paint in a home every few years, homeowners can ensure that their houses are as unique and full of personality as the rest of Nashville. Comment: Looking to get a price on painting all trim and wood surfaces, plus a price if whole thing is painted including brick. Comment: Medium sized deck with normal wear and tear in high flow traffic areas. Just news base redone. Comment: Paint kitchen cabinets and bathroom vanities. Cabinets are oak, paint is white. Comment: Looking for a quote on painting the walls and ceilings, doors, baseboards & crown molding in the interior of our house. Our square footage is approx. 1,900 sq. feet. Comment: Paint the ceilings and walls of 1 kitchen and 2 bathrooms at first. Then more work in 3 bedrooms and a living room to follow. Nashville Painting Contractors are rated 4.82 out of 5 based on 1,187 reviews of 97 pros. Not Looking for Painting Contractors in Nashville, TN?